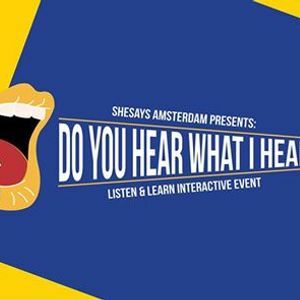 Join us for our first SheSays Amsterdam workshop of the year, at Soho House Amsterdam, on 27 March (doors open 8:30; event starts 9:00). 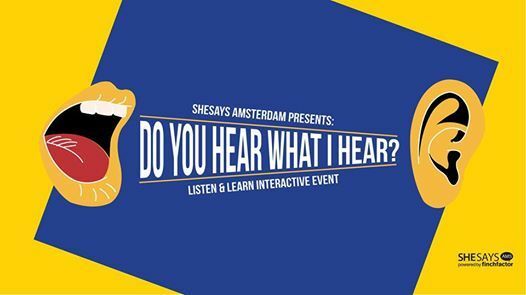 Through personal learnings, our speakers will share their experiences of truly listening to their inner voice - as well as hearing others. Then, we'll put these skills to the test in an interactive session. You'll leave confident you're sticking to the ear-mouth ratio, equipped to use your listening skills as a transformative tool for the workplace. Wassila Hachchi is our first speaker! ?? More speakers will be announced soon, stay tuned.